Super-creepy insect on a fuzzy leaf in the botanical gardens. I don't know what type of plant and insect this is, so chime in if you do! This was taken with my compact, so I'm happy that it turned out really sharp. 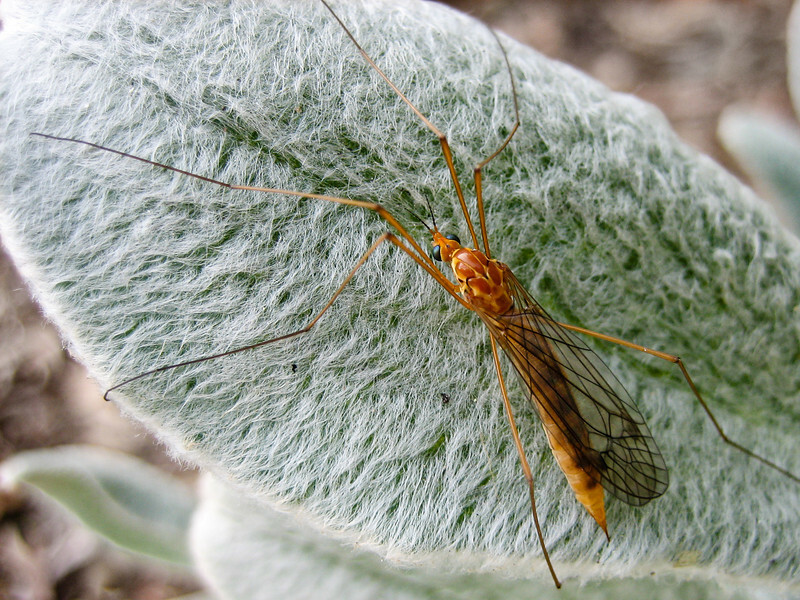 UPDATE: the insect is a crane fly, plant is Sideritis cypria - part of the mint family. Fabulous macro...I think the plant leaf is some kind of mullein, perhaps something-argentea? Terrific image- love the detail and his wings are so interesting- like leaded glass. No idea what bug though. Great detail. The leaf looks awesome.